Cables: the topic engenders passionate discussion. Should we sound the alarm against all cable merchants? It is hard to discern between factual technical information and the marketing smoke screen. “Hear the difference”: this is the mantra you should adopt in order to find your way through the jungle of information, contradictions, and opinions that are probably as numerous as the products on the market. Once more, it could very well be that part of the solution is to be found in France, in Paris, a stone’s throw away from the Place de la République. As I push open the door to HI–FI Câbles & Cie, I quickly realize what a singular place it is. I was immediately taken back to the ancient hardware store of my hometown, with its wooden counter, its ancient hardwood floor, and its smell – the perfume of the retail trade of yesteryear. It is, above all, a workshop, where you patiently wait your turn and chat. You can take advantage of the opportunity to exchange information; the atmosphere is friendly. All eyes are on Thierry who, soldering iron in hand, is finishing the assembly of a cable on the other side of the counter. On the same side of the street, a few meters away, I am welcomed into a discreet back room, a music room in which the owner of the establishment runs his trials. My Meeting with Jean-Claude Tornior. Jean-Claude feels compelled to share his story with me. It all began with the assembly of his first amplifier at age 14. 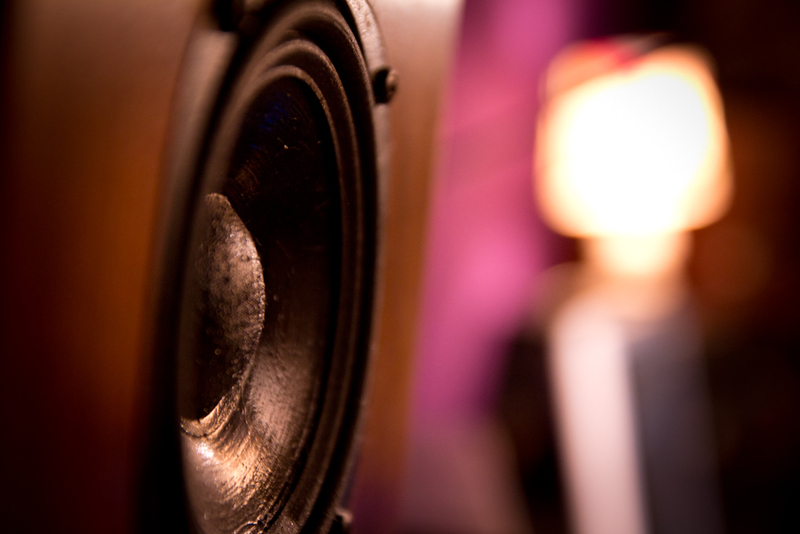 Then, as a young engineer with a passion for sound reproduction, he had a series of experiences with speakers. His first took place at Elipson, where he became Joseph Leon’s assistant. There, he was immersed in what he loved: research and development. Later on, he created his own company, PhonOphone, where he developed speakers, amplifiers, and sources. Next, he pursued a career in the specialized press; he became the editor-in-chief of Son et Vidéo Magazine (Sound and Video Magazine) and wrote the hifi column for Répertoire du disque compact (The Compact Disc Directory). It was in his role as a tester of hifi equipment that he naturally began to tackle the subject of cables, always with the same high standards and level of curiosity. He researched, learned about, discovered, and tested hundreds of products. 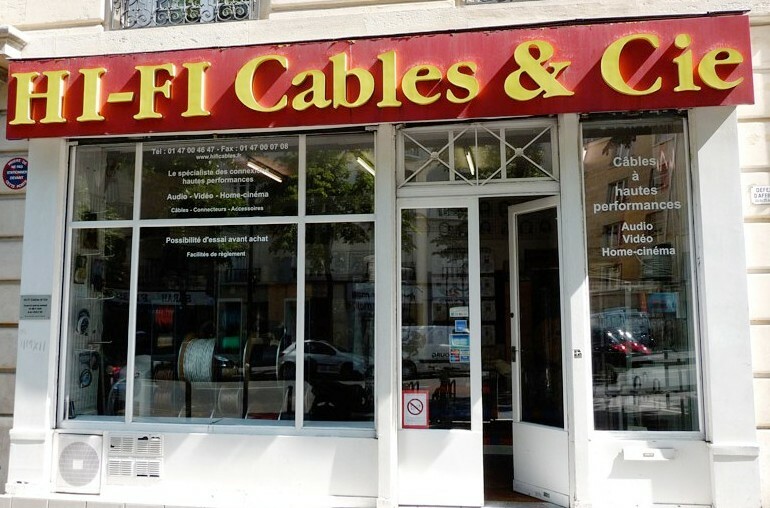 In 1995, he opened his own store, HI-FI Câbles & Cie, which was based on an extremely simple yet clever idea that made all the difference: customers were allowed to test the cables themselves using their own systems. “As a reseller, I was well placed to observe the products and see how such and such product behaved. I would take apart the cables to see how they were designed, and I learned as the days went by,” he recalls. Destiny came knocking at his door one day when a supplier of silver and Teflon cables walked into his store. Ever curious, he accepted a sample; motivated solely by his own pure passion, he assembled and tested new creations. Enthusiastic about the initial results, he shared what he had found with a few faithful customers. His cable was passed around, and customers asked for more. Fifteen years later, the HI-FI Câbles & Cie catalogue contains a wide variety of items, including speakers, modulation cables, and sector cables. Jean-Claude Ternior still remembers and also insists upon the importance of a series of coincidences. He specifically recalls an erroneous order placed with a cable supplier: the cable had a diameter that was too thick, yet it yielded promising results against all expectations. As for the cost of his cables, he stresses the fact that his prices are primarily dictated by the materials he uses and the craftsmanship required. However, he likes to point out, “We do not produce cables here, but, rather, we assemble them.” There is no marketing budget; word of mouth has built his solid reputation. He prefers not to comment on the absurd prices of certain products and affirms that he has always refused to sell his products for more than what is reasonable. 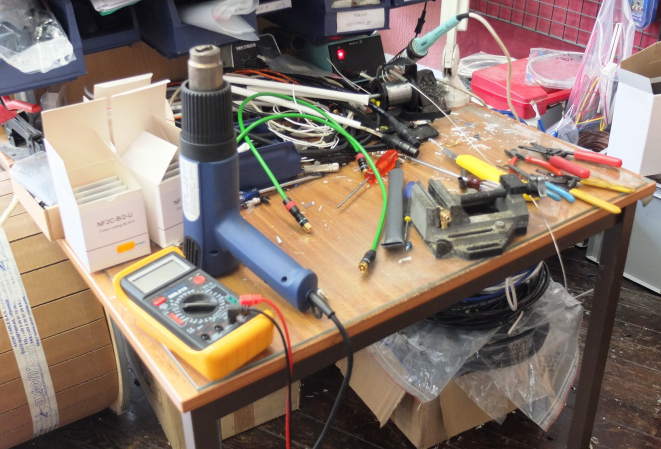 In his shop, the most expensive HP cable sells for 179 € per meter, and you can get equipped starting at 25 € per meter. When asked how his cables age, Jean-Claude reminds us that a cable that does not move and that is kept in place improves with time, assuming that it is not being handled constantly. Otherwise, it will have to be broken in again. I will come back to the topic of breaking in cables (a subject on which much has been written) in a future post. Unfortunately, our fascinating conversation was interrupted. It was time to dispatch the shipments! Jean-Claude was going to help out his employee, who had meticulously prepared that day’s orders. The cables are to be sent to destinations all over France as part of Jean-Claude’s well-honed loan system (customers pay a deposit). Eight out of every ten people apparently adopt the cables for good after having tried them. This entry was posted on 09/04/2013 by Aublanc in Accessories, Interviews, Reports and tagged french cables, FRENCH HIFI, french hifi cables, hifi cables, hifi cables paris.